You'll visit kid-friendly attractions like Belém Tower and Lisbon Zoo. Take a break from the city and head to Nature & Wildlife Tours and Parque de Monserrate. 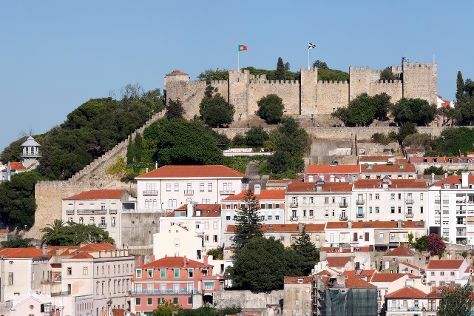 Explore the numerous day-trip ideas around Lisbon: Sintra (Castelo dos Mouros, Park and National Palace of Pena, & more), Cabo da Roca (in Colares) and Arrabida Natural Park (in Setubal). The adventure continues: admire the masterpieces at National Tile Museum, tour the pleasant surroundings at Praia de Carcavelos, meet the residents at Lisbon Oceanarium, and get curious at Pavilhao do Conhecimento- Ciencia Viva. To find maps, traveler tips, and tourist information, you can read our Lisbon trip planner . If you are flying in from Brazil, the closest major airport is Humberto Delgado Airport (Lisbon Portela Airport). July in Lisbon sees daily highs of 34°C and lows of 20°C at night. On the 2nd (Fri), you'll have the morning to explore before heading back home.